This is our first feature length endeavor. 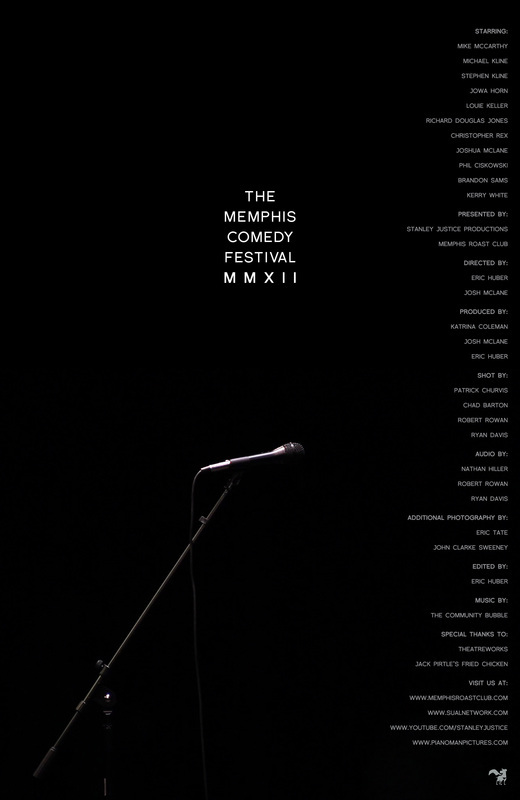 We recorded the first Memphis Comedy Festival put on by The Memphis Roast Club. We cut together 11 local performers and made a comedy special. The opening night of the festival was hosted by Michael and Stephen Kline's Twin Face Kline podcast. There are songs, stories, jokes, and games. This is also where we met the illustrious Cordell and Tawanda Pirtle. Michael and Stephen invited them to be special guests during the show and we learned a little bit about Memphis' own Jack Pirtle's Chicken.